Observation - Robin - UK and Ireland. Description: Often found on Christmas cards, Bright red breast.Redstarts are often mistaken for robins. 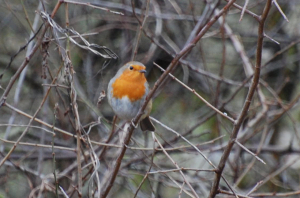 Often found on Christmas cards, Bright red breast.Redstarts are often mistaken for robins.